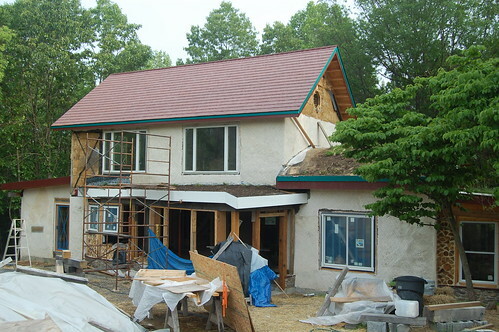 2010, Cordwood begins. 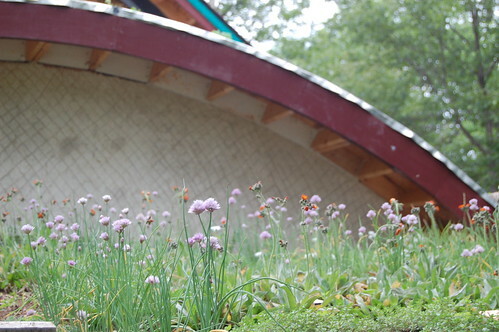 Earth roofs thrive. 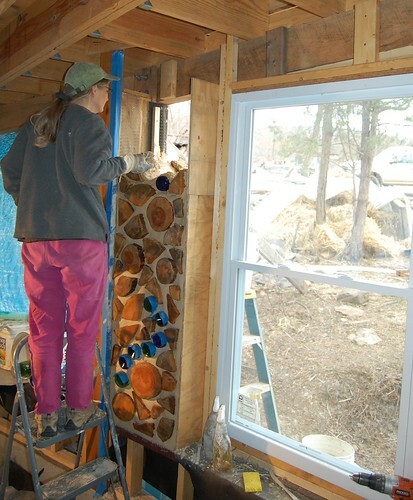 We expected warmer weather in March as we began to build the cordwood walls. Temperatures started in the 70s, but dropped into the 20s at night. 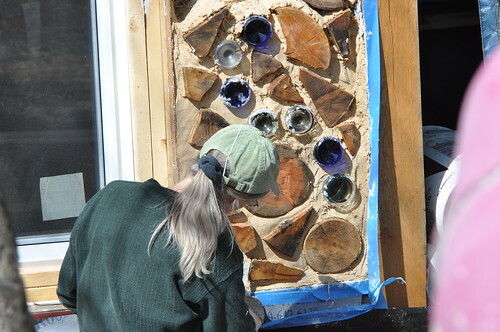 First, a couple shots of Cordwood. 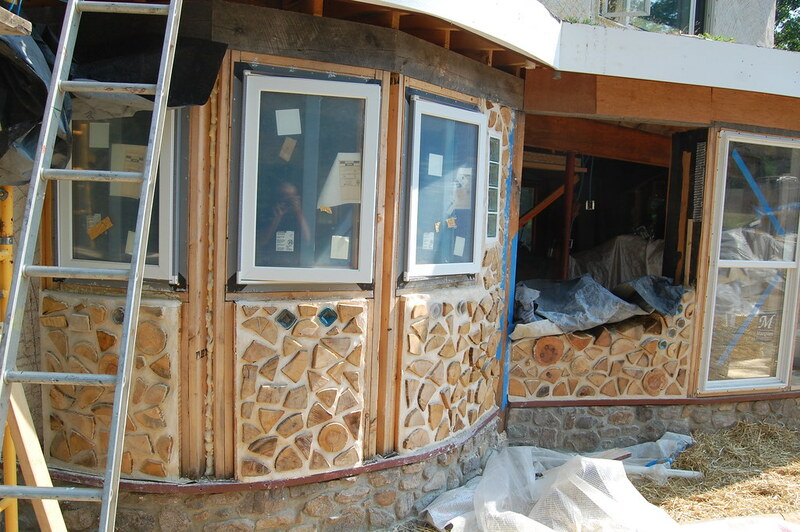 Here is the first finished wall with a window. 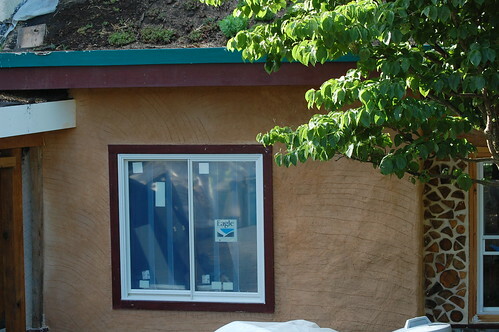 First (rough) coat of lime plaster on straw is at left. 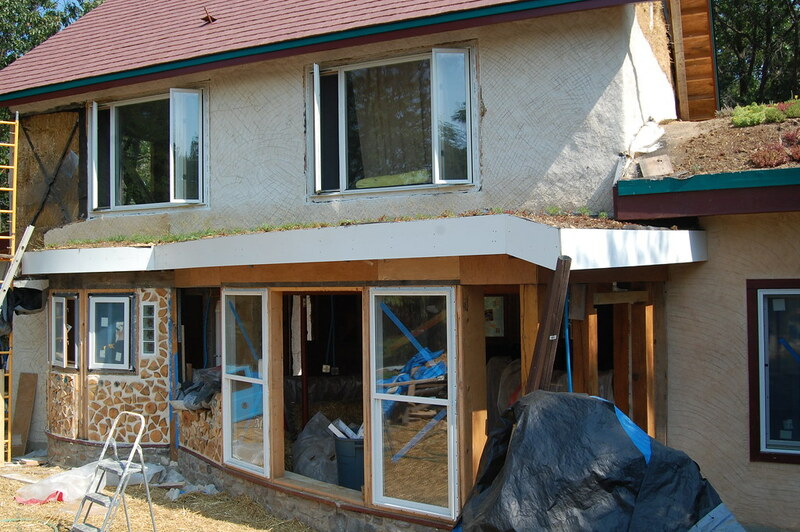 The window is from a Habitat for Humanity resale store, where surplus windows are sold for bargain prices. Bottles are for decoration and let in beautiful light. Above, Linda rough points the wall. 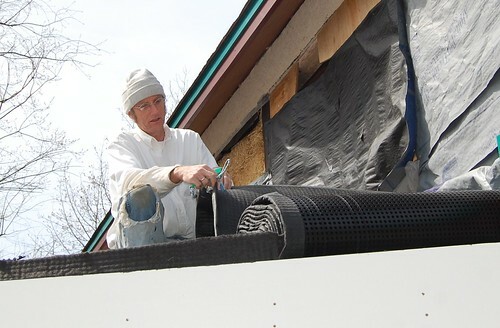 Scot places drainage layer on the entry roof. Next, we'll place some soil! 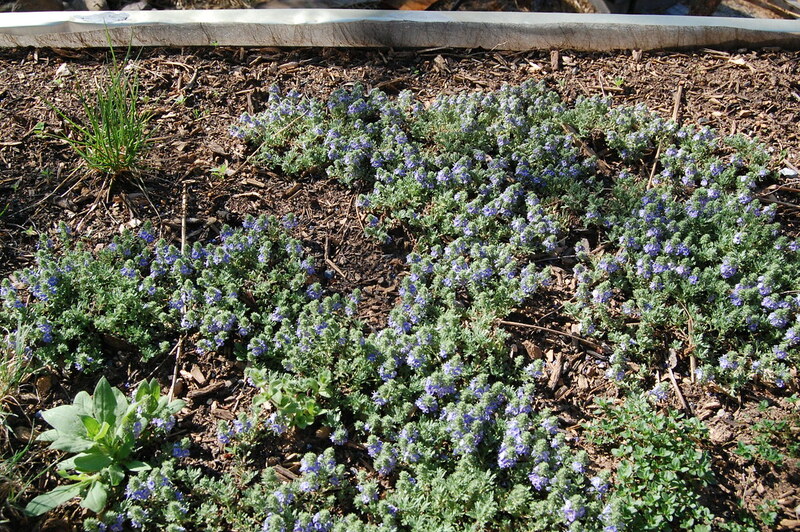 Above are some flowering plants on the guest room roof. 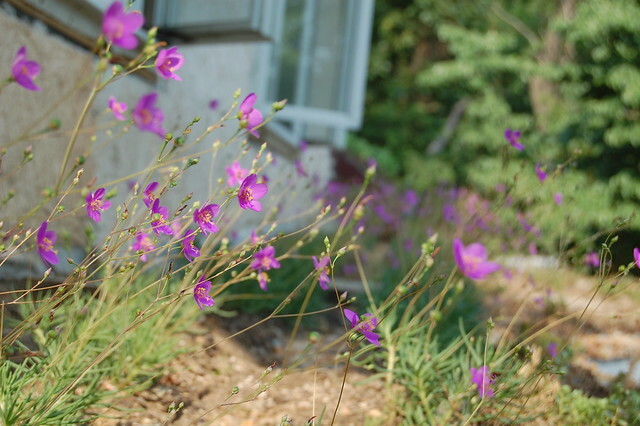 We have purple, orange and white flowers on the guest room roof. Sedums on the barrel roof. 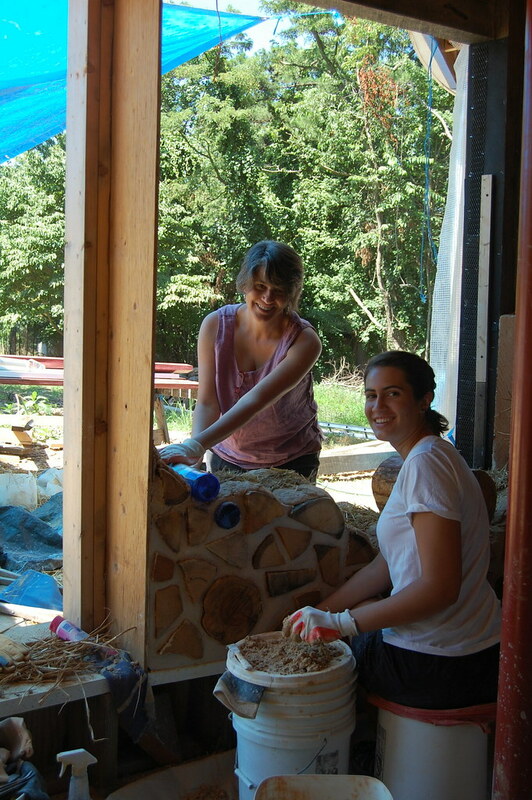 Paola and Renata work on cordwood. 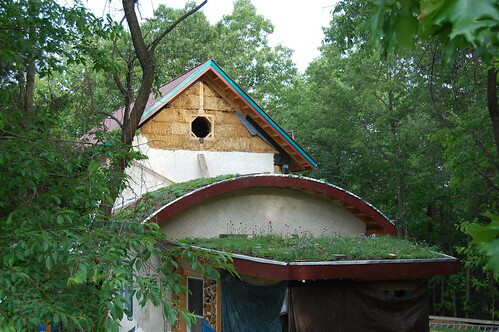 Above, kitchen cordwood, July 2010. 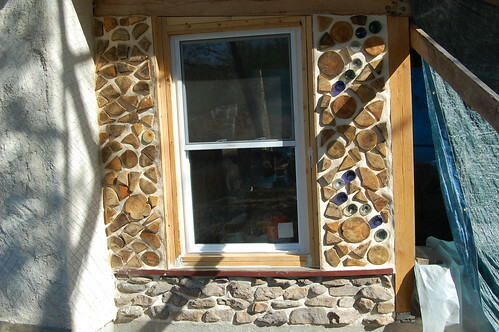 Above, note the improvement from March: window trim on right, new windows in front, more cordwood on the left, and plaster on the right has clay coloring added. 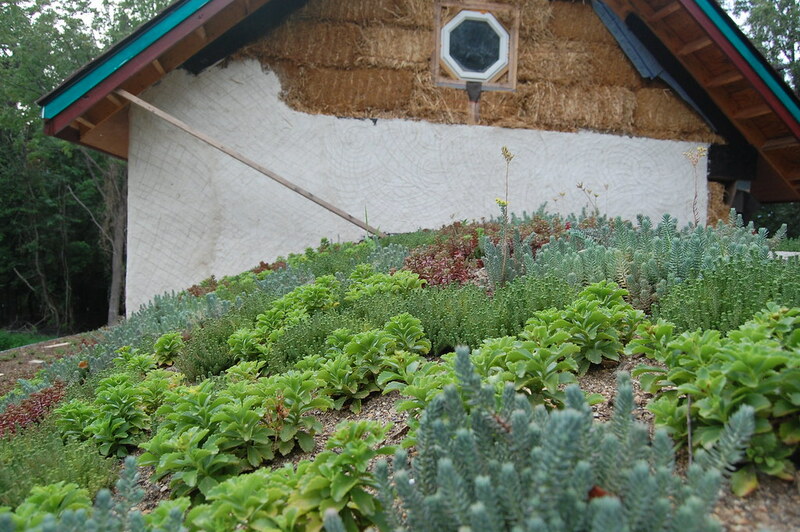 Earth roof over the entry way.